This transformation took approximately 1 month. However, all ponds are different and not all growth is treated in the same way and at the same rate. 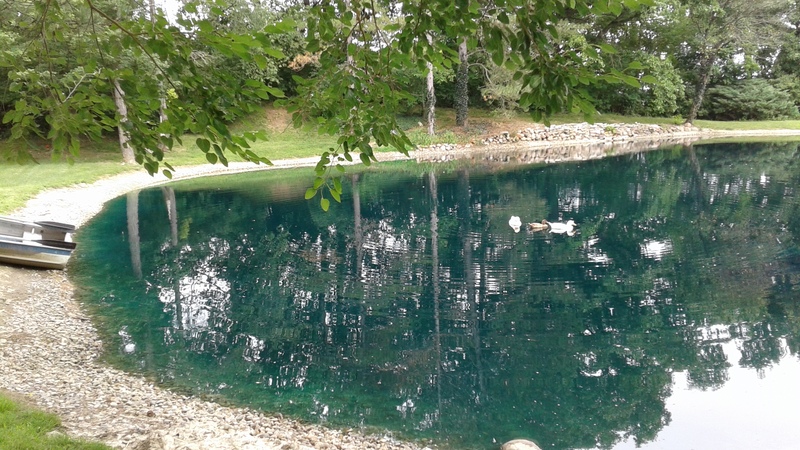 Our Pond Champs team transformed this algae filled pond into the beautiful pond the owners intended to enjoy. Check out the before and after pictures in the slide show above. We encourage all pond owners interested in a service to take advantage of our early sign up discount so that you can enjoy a beautiful pond all season long. Pond Champs service starts April 1st – October 31st. Even though we are wrapping up the 2017 season we can generate a free quote to service your pond for next year. Contact us today for a free quote. Sign up at the start of the season. Don’t wait until the pond is completely taken over with weeds and algae. 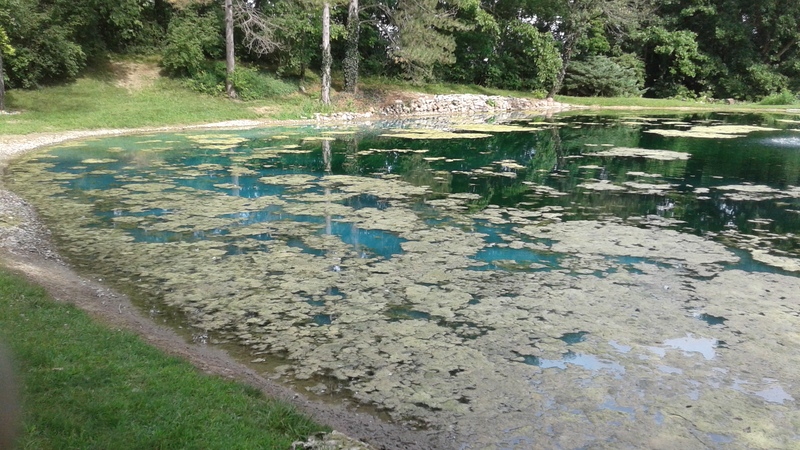 Keep a 15 foot perimeter around the pond that you Do Not fertilize. Do Not mow or dump landscape clippings into the pond. Always call us if you have concerns.